David A. 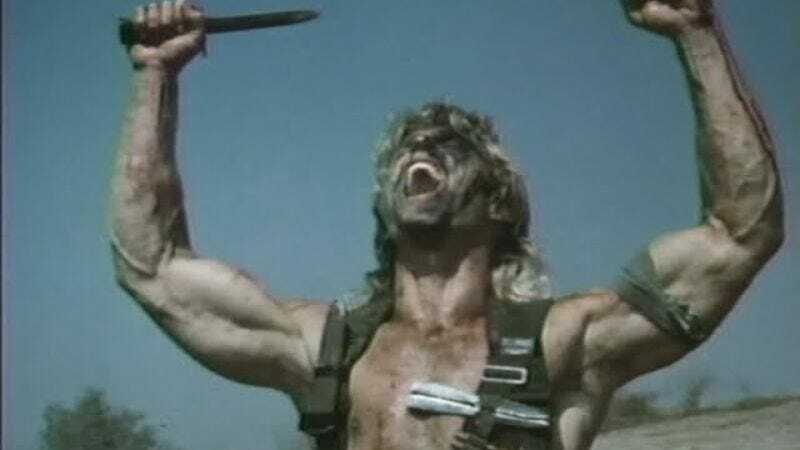 Prior, a prolific low-budget filmmaker known for B-movies like Killer Workout and the infamous Deadly Prey, has died after what his brother Ted describes as “a long battle with failing health.” He was 59. Prior began his career with the horror movie Sledgehammer (1983), which has the distinction of being the first shot-on-video slasher movie. That film established patterns that would persist throughout Prior’s career, namely, extremely low budgets, hammy dialogue, outrageous action, and, most importantly, the presence of his brother Ted, a former Playgirl centerfold who would go on to star in many Prior productions. Prior released a sequel to Deadly Prey, Deadliest Prey, in 2013, and an action-thriller, Relentless Justice, in 2014. According to IMDb, he had two films in post-production at the time of his death. Prior’s Facebook page is overflowing with tributes from colleagues in Alabama (where he shot most of his movies), and L.A., many of whom remember him fondly as the person who gave them their first break. Intervision Video released Sledgehammer on DVD in 2011; Deadly Prey and Killer Workout are set to be released on Blu-ray by Slasher // Video in October, the first non-VHS release for either film.